Clyde L. Ingels, a resident of the Monterey Peninsula region for the past 42 years, died suddenly this afternoon at his home in Del Monte Grove. Mr. Ingels had been in ill health for several years but his passing came as a shock to hundreds of local friends despite this fact. Mr. Ingels was for many years a rancher in the Corral de Tierra section but in recent years had lived quietly on the Peninsula. 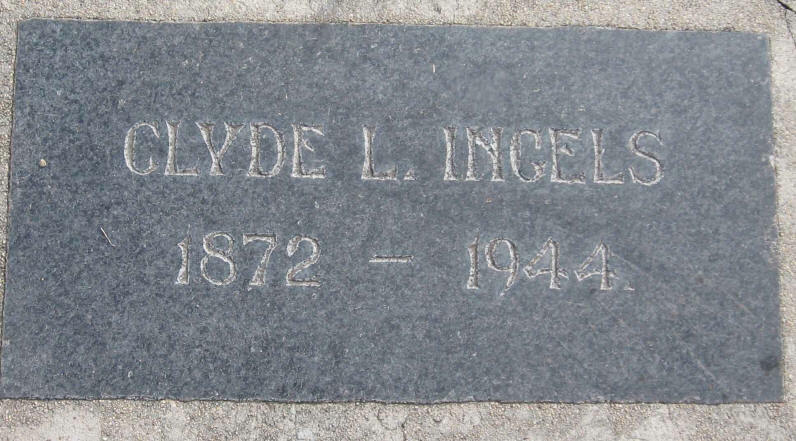 His wife, Mrs. Mamie Ingels, died only three months ago. He leaves two sons, R. C. Ingels of Monterey and Howard Ingels of the U. S. Navy, and two daughters Elizabeth Ingels of Robles Del Rio and Mrs. Mary Ingels Rivera of Hollywood.